I would always be so enthusiastic to come home from school because at 7PM, in one of the known networks here in the Philippines, I am expecting to watch awesome anime shows; and since internet connection back then was the dial-up, downloading anime shows is not really much of an option because once you start downloading, you will be interrupted by the sudden calls or you’d have to spend bucks and bucks of pesos for an ISP Bonanza internet card. 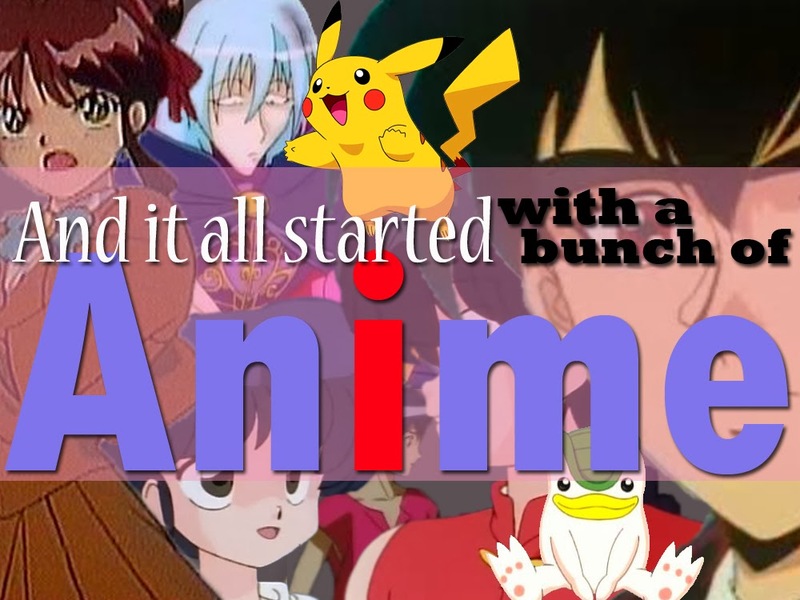 Because of all these (actually it initially started with Yuyu Hakusho but it’ll be a longer story so let’s skip that part), my sister and I became so interested with the Japanese culture that, even right now, my sister blogs about anime (theblacksheeproject.blogspot.com) and waits for the best anime show to watch every season. Hey, she even has Gundam toys and nendoroids! We have also been fans of the Japanese cuisine (minus the wasabi) that my trip to Little Tokyo early this year is something I consider as a “dream come true.” And when I learned, a few years back, about the Japanese store Daiso (also known as Saizen), I know it will be heaven for me and my expectations were met very well. You know how some cute Japan-made items you, initially, think you do not need suddenly becomes a necessity once you’re inside a Daiso store. I’m a frequent Daiso Trinoma goer and it takes me so long to roam around the store just because I want to buy everything but I know I shouldn’t. When I became one of the partner bloggers of Daiso, it was kind of like another “dream come true” thing because of how attached I have become with anything Japanese. 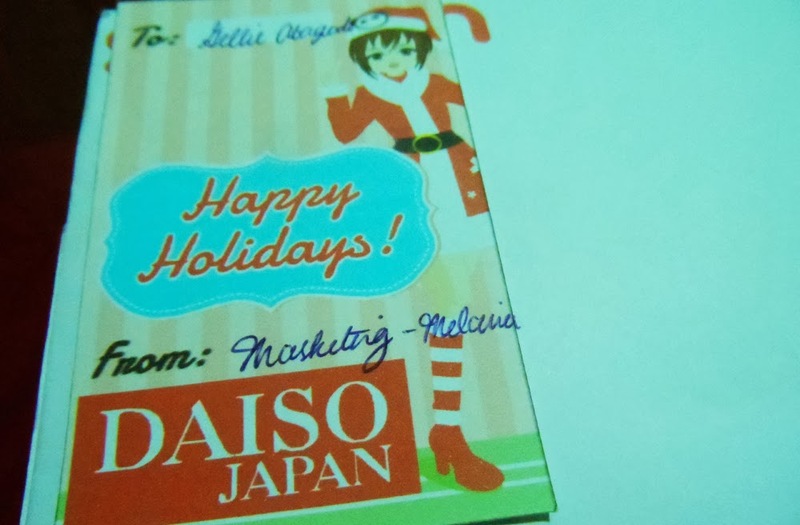 And I want to thank my friends from Daiso for trusting my blog and for letting me have a taste of Japan here in the Philippines. And I am more excited, by the way, because there is now a Daiso 20 minutes away from my place. How cool is that? I will reveal the exact location and give you a tour of the store itself soon so stay tuned. 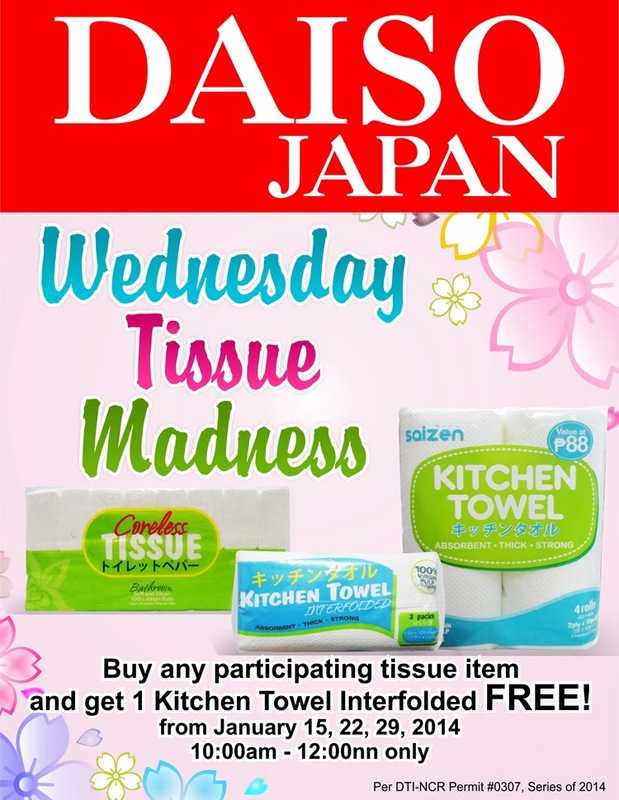 Oh, and for the month of January, I would also want to share with you a superbly awesome announcement from Daiso (which my mom felt pretty awesome about): The Wednesday Tissue Madness! See the poster below for further details! Have you been to Daiso? Tell me your most favourite purchase from the store at the comments section below! Daiso is one of my favorite stores. My recent purchase is a shoe hanger and I'm also planning to buy their transparent umbrella. I like roaming inside their store even though I have no plan of purchasing an item.